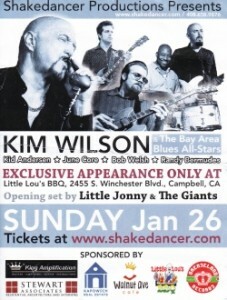 If they’re honest, anyone faced with the task of reviewing a Kim Wilson performance will tell you it’s as unnerving as the thought of jamming on stage with the titan himself. What can be written that’s not already chronicled? How do you avoid a fawning litany of superlatives? The answer is.. just tell it like it is. So we will. Hang on to your hats.